Testimonials from Corvette Customers - MacMulkin Corvette - 2nd Largest Corvette Dealer in the World! 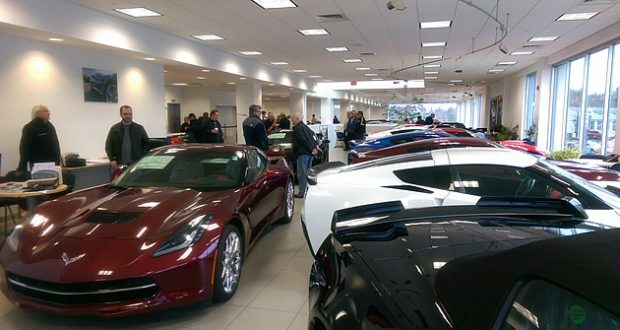 The Corvette Team at MacMulkin Corvette prides themselves on providing a top-notch purchasing experience for every one of our customers. We work diligently with each and every customer from building their Corvette and walking them through the ordering process, to introducing them to their new Corvette and spending as much time as necessary to explain each and every feature of their car. Below are some of the awesome reviews we’ve received from our customers! “I just purchased the car with the assistance of Jesse LaMontagne and had a wrap installed upon Jesse’s suggestion. Great job. I wish to add that Kenny G delivered me the car on Saturday in a most diligent and comfortable manner. I have only praise for all the professionals at MacMulkin from the people that routed my calls for the sales dept, to the men who prepped the car for delivery and also Mark who was the first person to assist me in my search for my 1st Vette who remembered me six months later. Thanks also for the team approach to marketing Corvettes and how that team made this purchase easier than all others in a lifetime of car purchases. Your Company is consistent in its philosophy of no fees and as far as I know the lowest cost dealer. Thank you for a flawless transaction with zero drama.” – Mark Bobroff. “Tommy Jr. and his Corvette team made our out of State purchase seamless and pleasant. Every step of the process was explained and handled professionally. They always responded to questions in a timely manner. A special Thanks to Nicole and Jessy.” – Alfred P.
“It was a pleasure dealing with Tommy Jr. in placing the order for my Grand Sport and negotiating the trade for my 14 stingray. I was kept informed of my order status and delivery. When the car arrived I dealt with Mark, Jesse, and Kenny G who made it a very easy and pleasant experience. This is my second corvette from MacMulkin and I highly recommend the dealership and staff.” – John Reardon Jr.
“I’d like to say a big thank you to Jessy, Kenny G, Mark and Sierra! We love our new Corvette Grand Sport and you all were terrific to work with. Especially a big thank for getting it ready on this past Friday when I needed it and working through all the last minute challenges. Kenny, thank you for the thorough pre-flight check out and for helping me in the dozen phone calls after I took delivery.